Netbook animation. Black background. 3 videos in 1 file. Highly detailed aluminum netbook spinning and opening over black background. 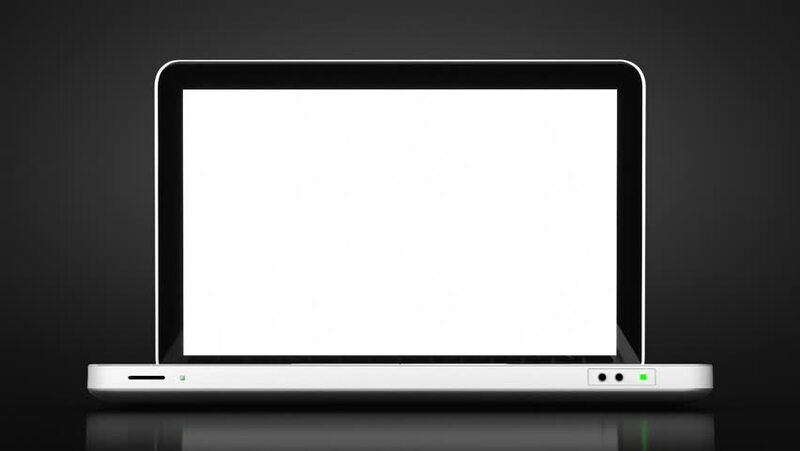 hd00:18Laptop turning on white background with reflections and opening to a white screen template. HD 1080. Alpha mask. 4k00:08Laptop with blank screen isolated on white background. Whole in focus. 4K 60 fps. hd00:16Laptop animation. Spinning. Highly detailed aluminum laptop spinning and opening over white background. The white display is perfect for tracking and adding your own photos or videos. 4k00:10Laptop and tv display, isolated on a white background. 4K 60fps. 4k00:21Man watching (Green Screen) Laptop in Home Office.